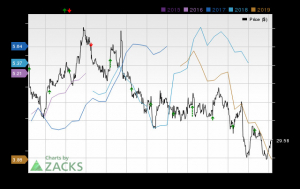 Hawaiian Holdings (NASDAQ: HA) stock lost 30% of its value in 2017, and 2018 was no better, as the stock plunged by another 34%. As a result, shares of the Hawaii-focused airline have been trading for about half of the all-time high stock price reached in late 2016. The reason for this plunge is easy to see. Investors were initially worried about plans by United Continental and Southwest Airlines (NYSE: LUV) to expand in the Hawaii market. 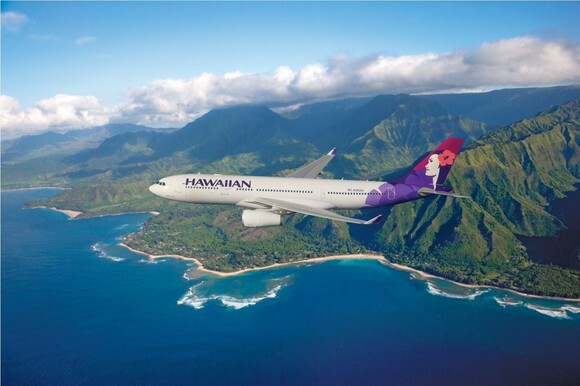 Those fears were amplified as the strong unit revenue growth that Hawaiian achieved during 2017 dissipated during 2018, leading to outright declines in revenue per available seat mile (RASM) during the second half of the year. Hawaiian Airlines' unit revenue declined in the second half of 2018. Image source: Hawaiian Airlines. However, Hawaiian Airlines' situation isn't as dire as investors seem to believe. Here are four key reasons why the company can make a comeback. In October 2017, Southwest Airlines announced that it would start flying to Hawaii. From day one, it said that ticket sales would begin in 2018. 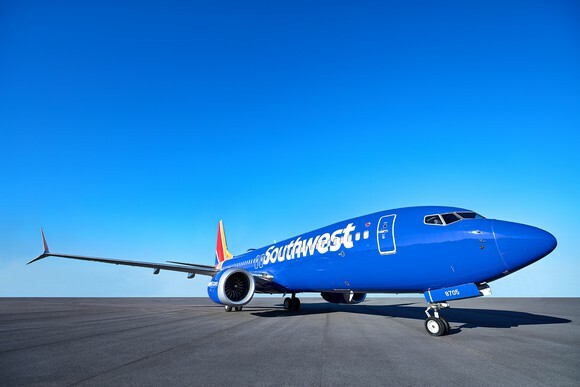 Southwest intended to operate its first Hawaii flights in late 2018 if possible, but during the 2019 winter season at the very latest. Yet the popular low-fare carrier still hasn't announced schedules for its planned Hawaii routes or begun ticket sales. While Southwest is close to completing the steps needed to secure "ETOPS" authorization from the FAA, the ongoing government shutdown has stalled the FAA's work. If the government reopens soon, Southwest Airlines could still probably launch Hawaii flights by March. But until the government shutdown ends, the carrier won't be able to fly to Hawaii. That's good news for Hawaiian Airlines. Competitive capacity growth in the West Coast-Hawaii market is set to slow dramatically in 2019 -- excluding Southwest, anyway -- as will Hawaiian's own growth rate. That should lead to a healthier supply demand balance. Southwest Airlines hopes to start flying to Hawaii soon. Image source: Southwest Airlines. Eventually, Hawaiian will have to deal with competition from Southwest Airlines. But it will be in much better position to meet that threat if the market has had time to absorb 2018's rapid capacity growth before Southwest shows up. 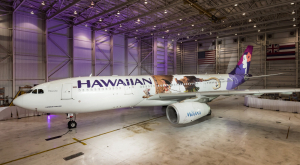 The West Coast-Hawaii market should remain profitable for Hawaiian Airlines, but there will be some volatility over the next few years as Southwest enters the market and grows its presence there. Fortunately, Hawaiian's expansion into Japan since 2010 has diversified its revenue base. In the short term, the Japanese market is likely to be a strong point for Hawaiian Airlines. The carrier recently said that better pricing on international routes will help it post a Q4 unit revenue result near the high end of its most recent guidance. Furthermore, high fuel surcharges will continue to boost unit revenue at least through the spring. The recent strengthening of the Japanese yen against the dollar represents another tailwind. Looking further ahead, Hawaiian Airlines' planned joint venture with JAL for the Hawaii-Japan travel market may be approved later this year. That would boost profitability beginning in 2020, while unlocking further growth opportunities. Another reason for optimism is that Hawaiian Airlines has been facing tough year-over-year comparisons recently. Hawaiian's RASM rose 5.8% and 3.3% in the third and fourth quarters of 2017, respectively. By contrast, RASM grew just 2.7% in the first half of 2018, fell 2% in the third quarter, and is on pace to decline by at least 3% in the fourth quarter. During the second and third quarters in particular, an unusual series of natural disasters hit Hawaii, hurting travel demand. Assuming that weather patterns return to normal in 2019, it will be easier for Hawaiian Airlines to grow its unit revenue this year. Finally, Hawaiian Airlines is likely to face less cost pressure in 2019 than it has had to deal with in the past two years. For the first nine months of 2018, adjusted nonfuel unit costs rose 3.1% and Hawaiian's average economic fuel price surged nearly 25%. While nonfuel unit costs appear to have declined in the fourth quarter, that cost savings was more than offset by higher fuel costs. By contrast, fuel prices are currently on pace to decline year over year in 2019. Additionally, Hawaiian Airlines recently finished replacing its aging Boeing 767s with state-of-the-art Airbus A321neos, which will drive big fuel efficiency gains this year. Better fuel efficiency and lower fuel prices should more than offset any increase in nonfuel unit costs in 2019. Consequently, Hawaiian may just need to keep unit revenue flat to grow its earnings. Depending on when Southwest Airlines arrives in Hawaii -- and how other carriers react -- that seems like an achievable goal for Hawaiian Airlines. 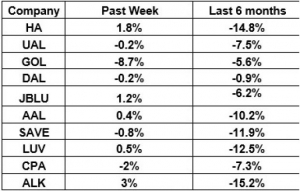 David and Tom just revealed what they believe are the 10 best stocks for investors to buy right now... and Hawaiian Holdings wasn't one of them! That's right -- they think these 10 stocks are even better buys. Adam Levine-Weinberg owns shares of Hawaiian Holdings and Southwest Airlines. 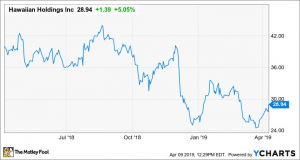 The Motley Fool owns shares of and recommends Southwest Airlines. The Motley Fool recommends Hawaiian Holdings. The Motley Fool has a disclosure policy.